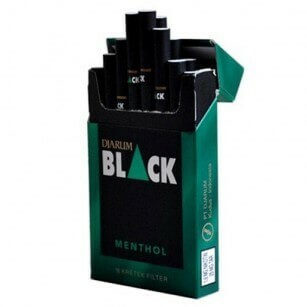 Djarum Black Menthol. 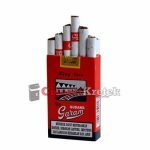 Actually these cigarettes had long circulated in Indonesia. Perhaps, because connoisseurs of menthol here is quite rare, so a little hard to find in stores for sale. Now, we present for your Djarum Black Menthol. Connoisseurs of Djarum Black, with a typical the aroma of cloves. 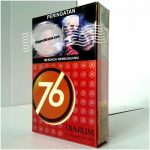 Once we ascertain, stock Djarum Black Menthol tesedia enough in our suppliers. Djarum Black feels identical to the original. However, there are additional cold of menthol. That’s perfect. Menthol itself is not overly dominant. Quite mild and soothing. 16 cigarettes / packs. Fit to take anywhere. Such as siblings, Djarum Black. The packaging itself, dominant black. With a little green aksyen. Very much worth a try. 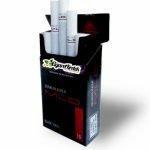 You smoker Djarum Black, you must try this.